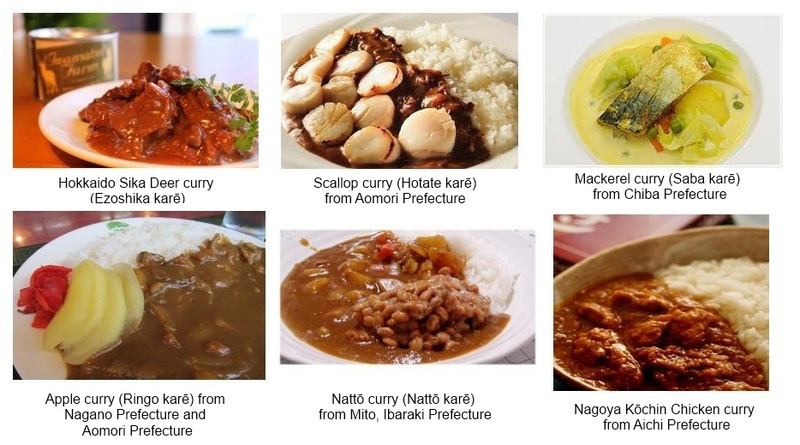 Curry Rice / カレーライス Most common way to serve curry rice. 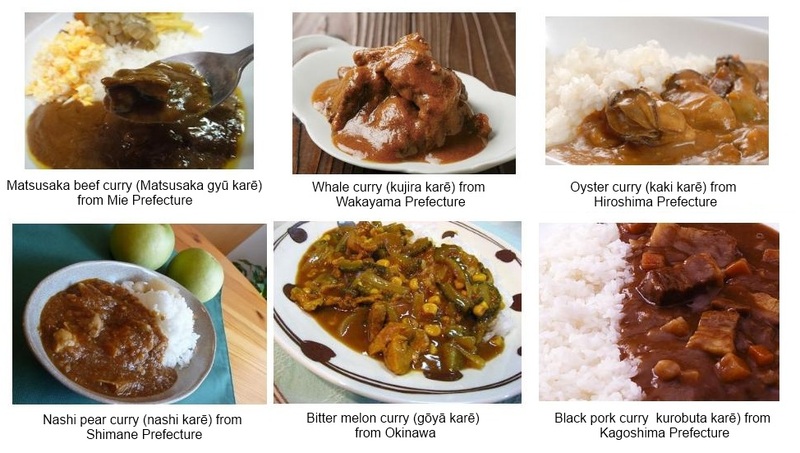 According to a record, the first japanese person to eat curry was Kenjiro Yamakawa , a 16-year-old member of the Aizu Byakkotai warriors. Curry and rice was offered on board the ship when he went to the United States in 1871. In 1872, a curry recipe was introduced in “Guide to Western Cuisine” and being liberated from 200 years of seclusion the whole nation eagerly tried to absorb western culture. However, curry and rice was an expensive gourmet dish and few people could afford it. The menu in a restaurant at Ginza around 1877 listed the price of curry and rice as 8 sen, while a bowl of plain noodles cost 1 sen. 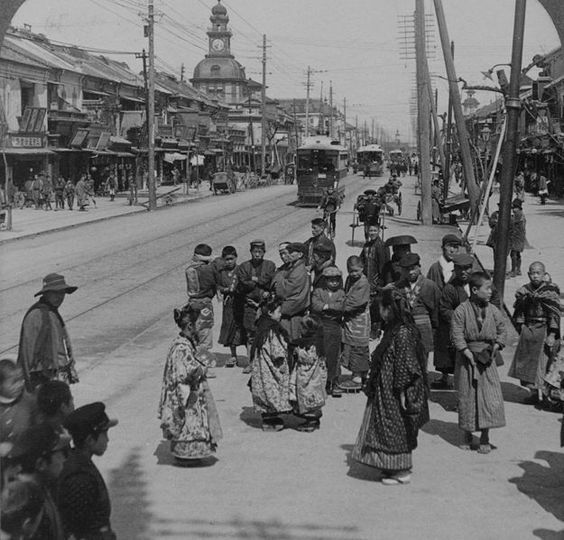 Though it was an expensive dish, it gained such great popularity that at around 1910 a variety of dishes using curry (curry and rice, curry with flour noodle, curry with buckwheat noodle) appeared on the menu list of many restaurants. 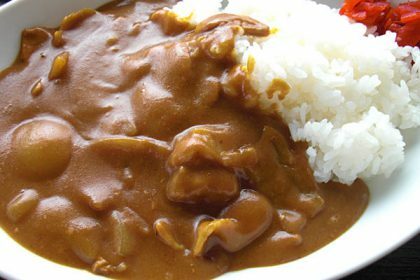 Taishō Era (1912-1926) came and the recipe of Japanese Curry and Rice was invented, featuring onions, carrots and potatoes as ingredients. 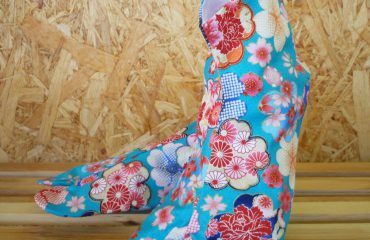 The recipe was adopted by the Japanese Army for its appropiateness for mass feeding, very nutritious and easy to cook. 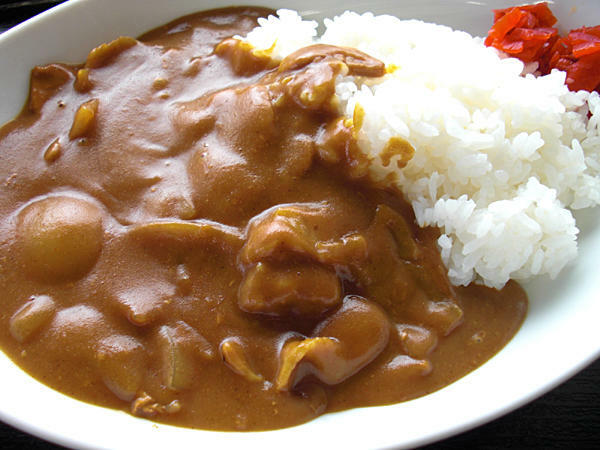 Japanese Curry became popular and available for purchase in supermarkets and restaurants in the late 1960’s. 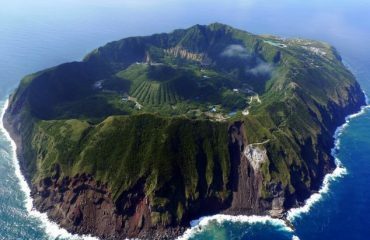 There was even a place called The Yokohama Curry Museum but unfortunately it closed on March 2007. 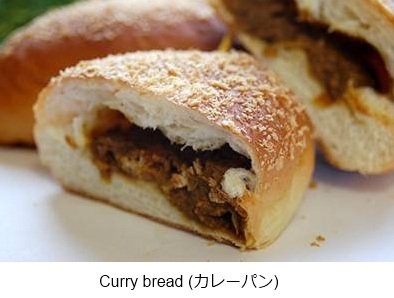 In the late 1990’s, a number of regional specialty curries emerged, popularized as vacuum-sealed curry sauces and foods like Kare Pan (Curry Bread), among many others.